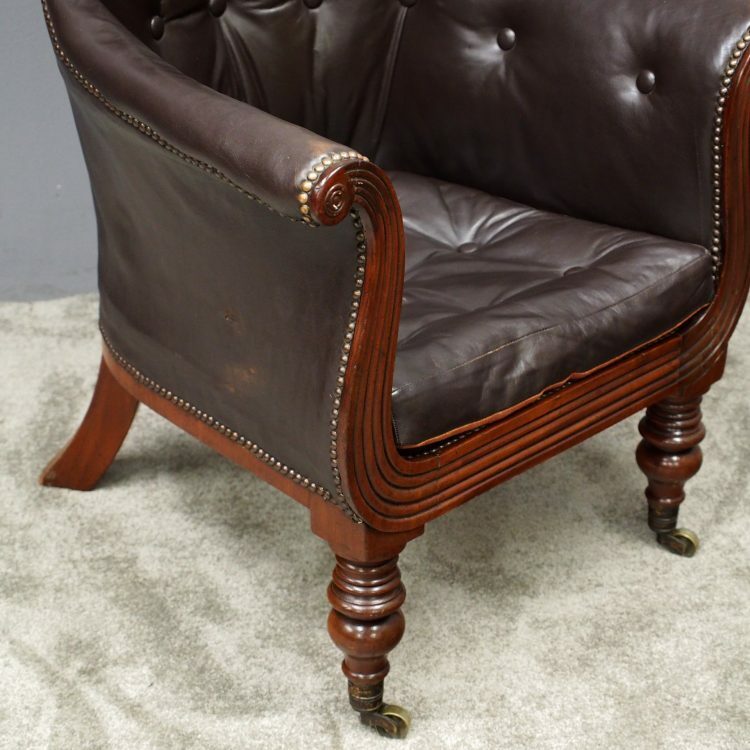 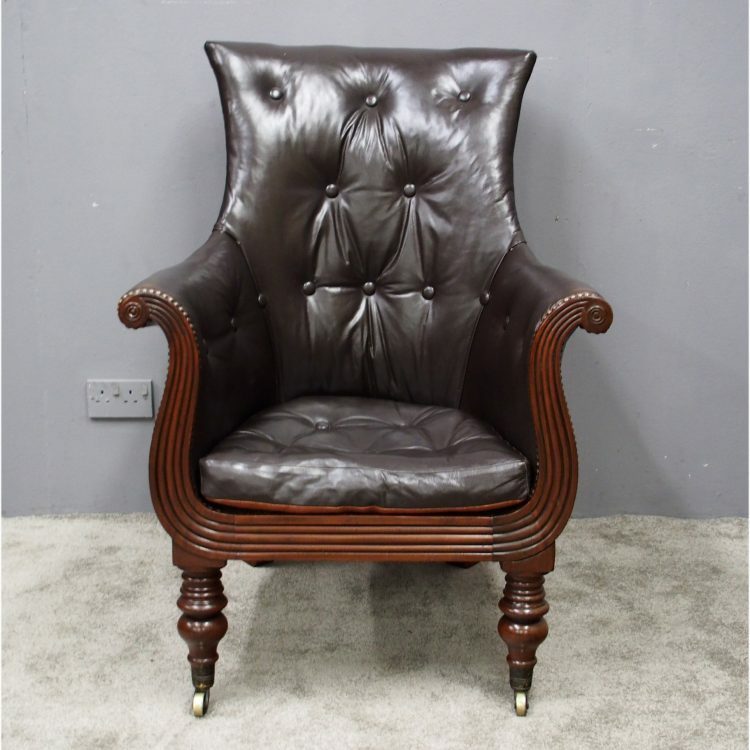 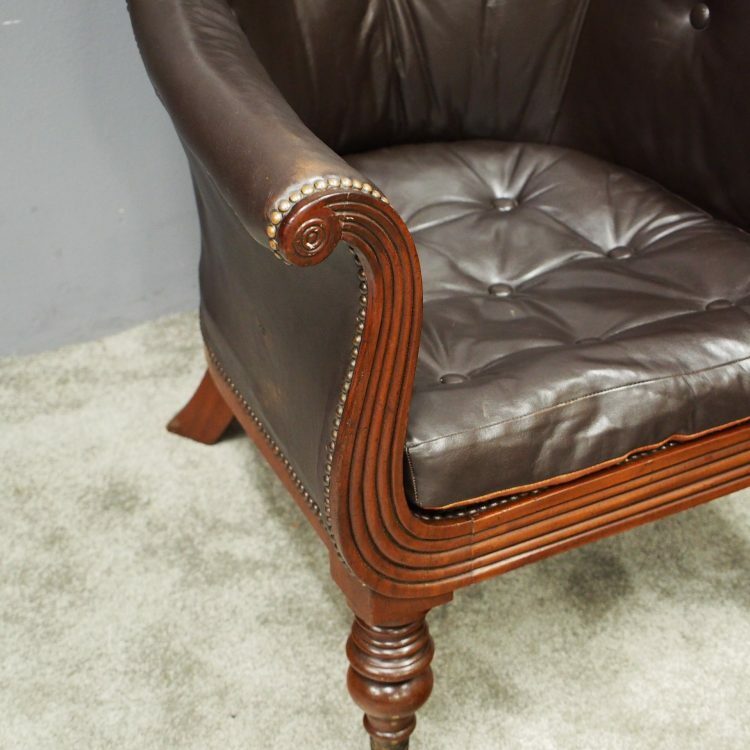 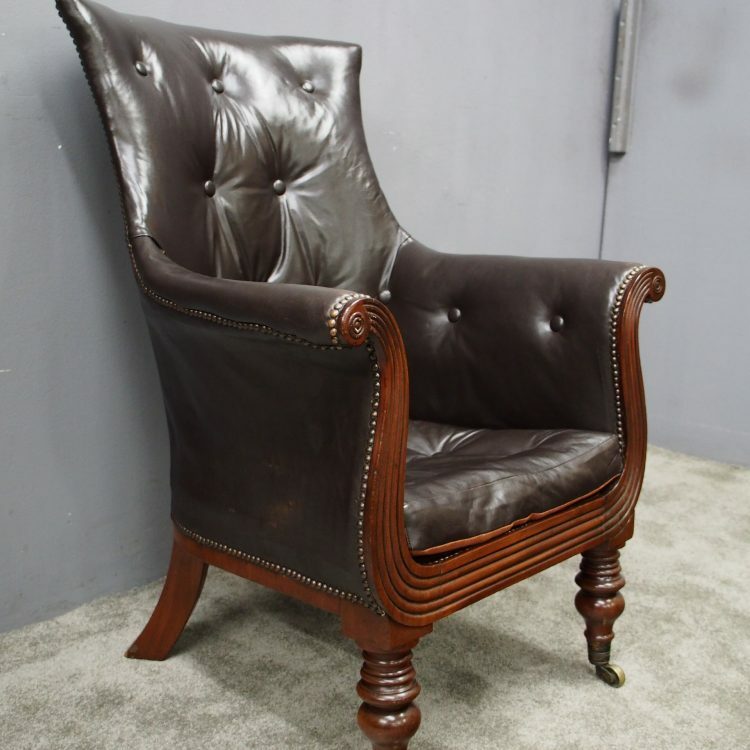 Circa 1820, Regency mahogany lyre-shaped, library armchair. 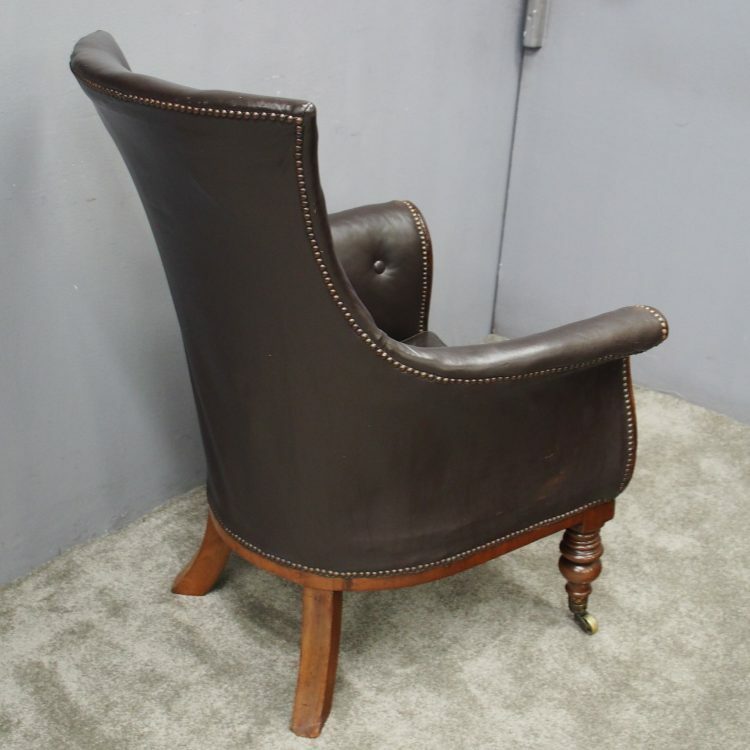 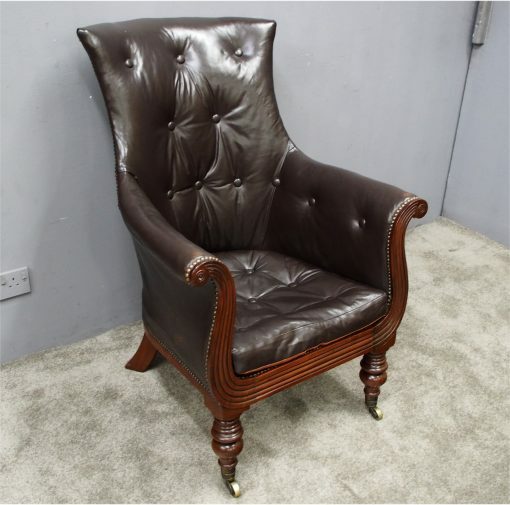 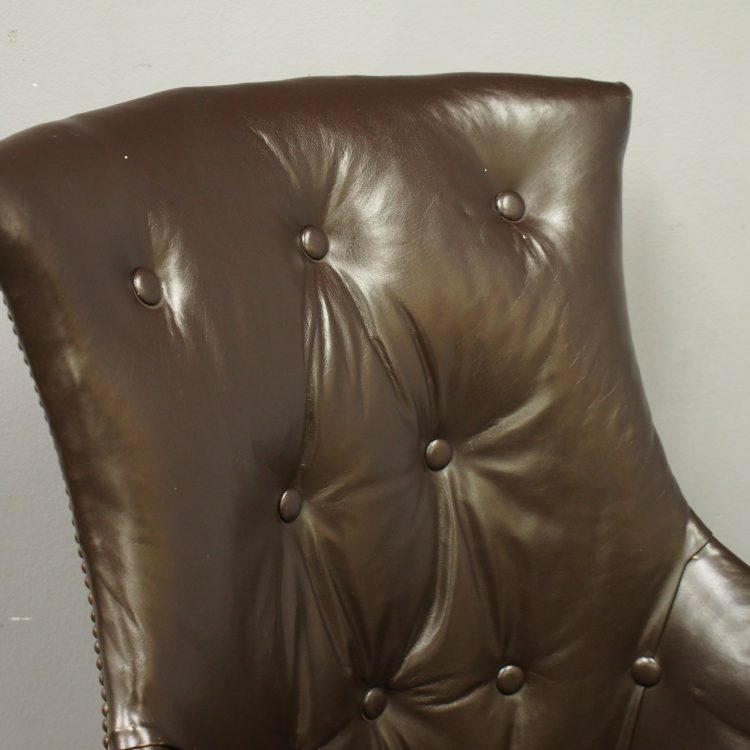 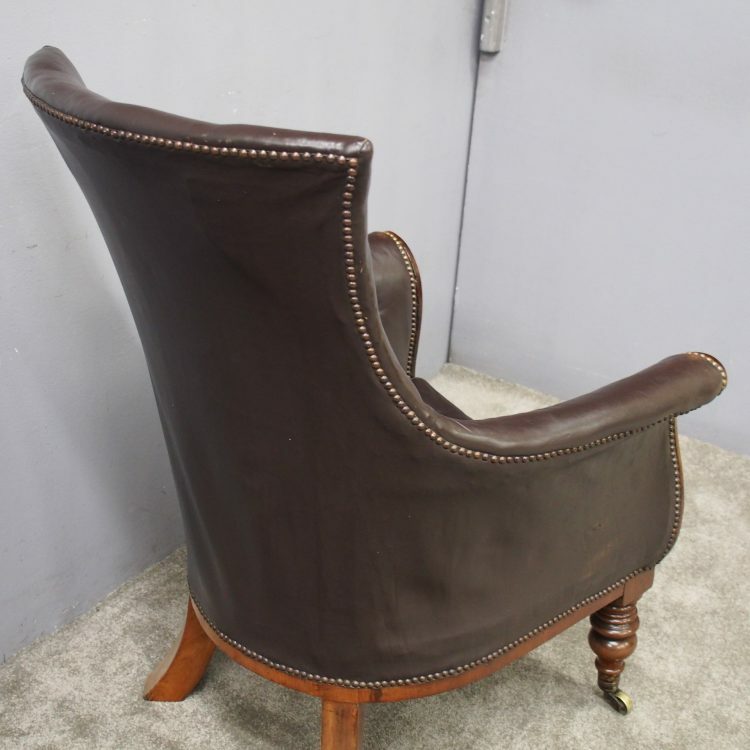 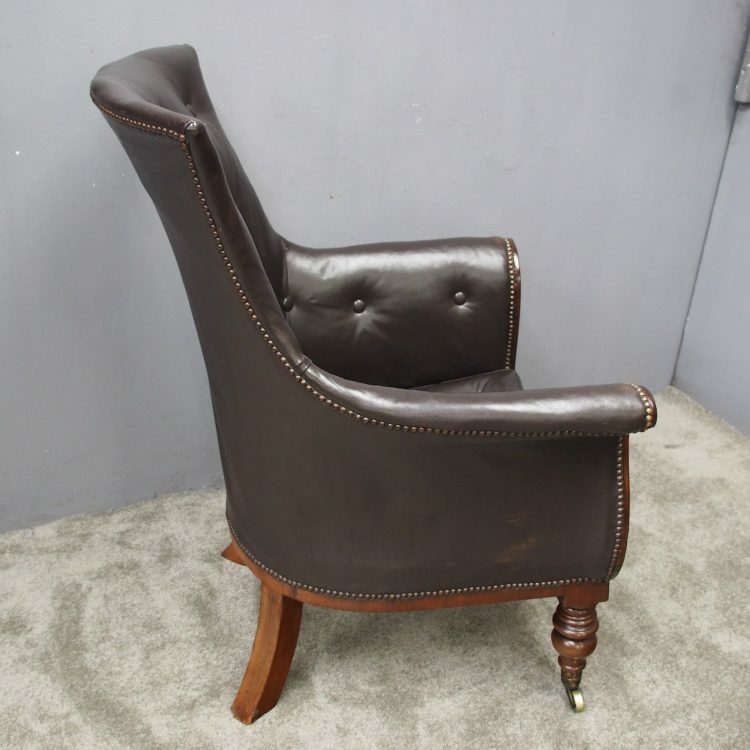 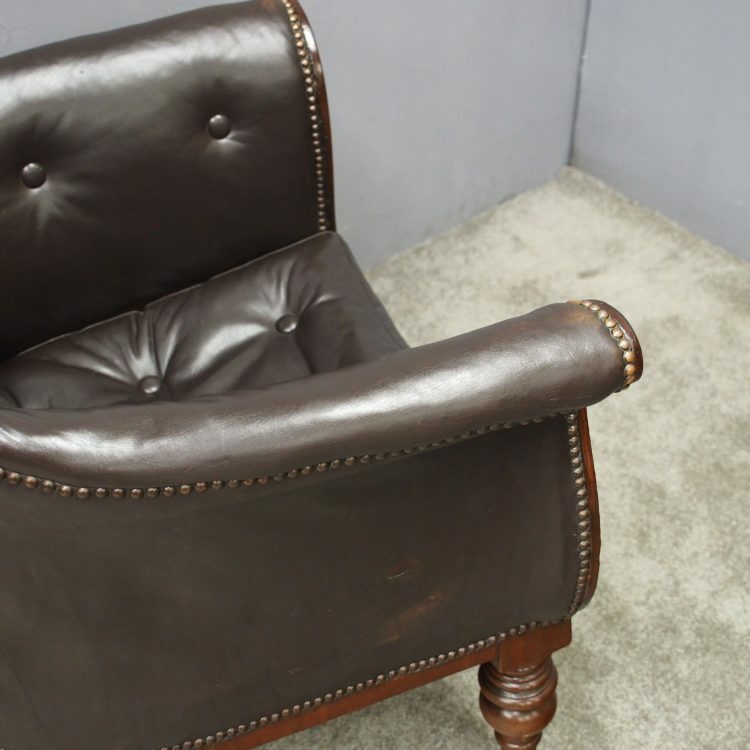 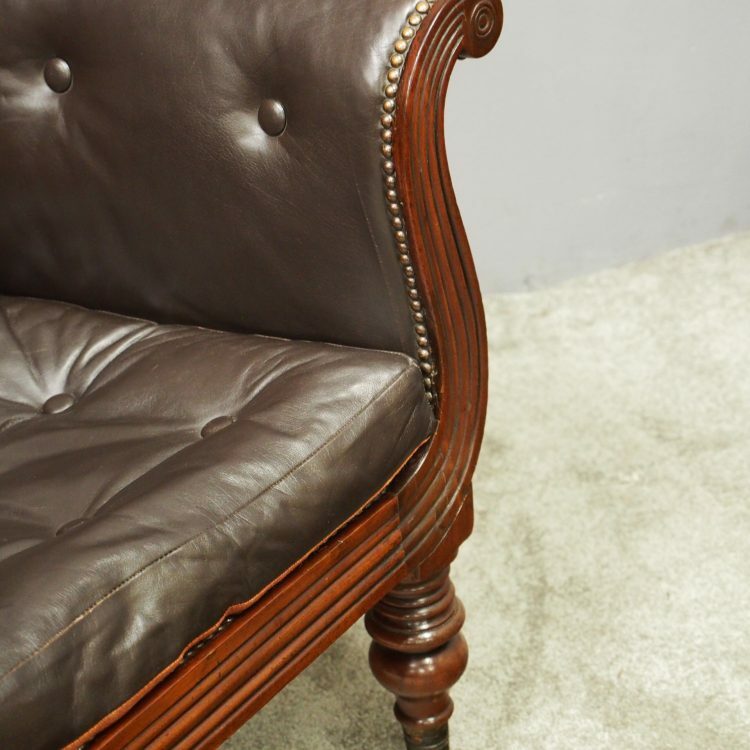 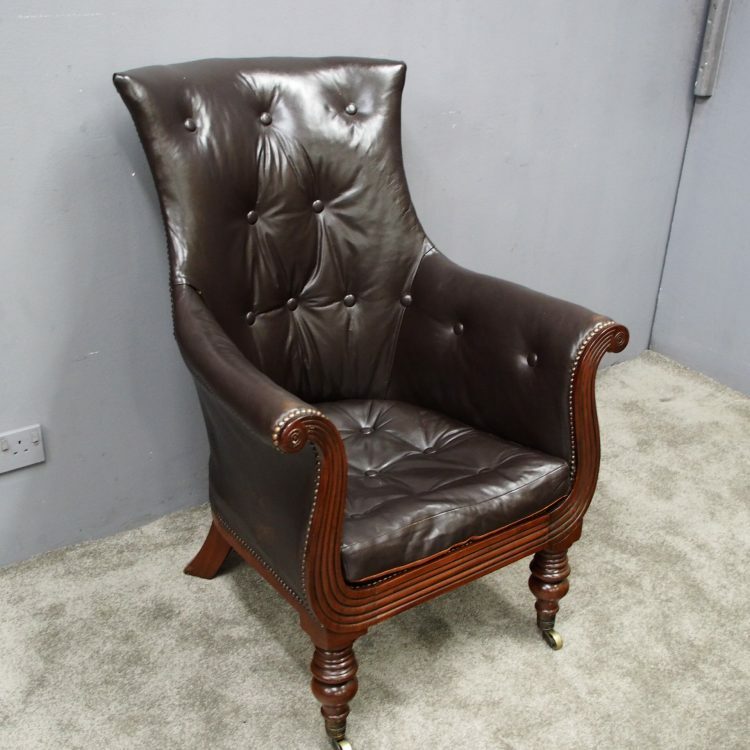 Upholstered in deep button-back brown hide with a degree of wear, and loose squab seat, it has a tall shaped and curved back. 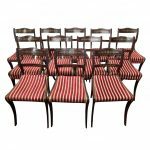 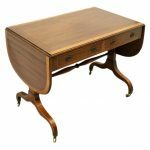 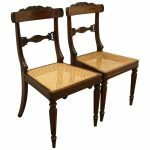 This leads on to outswept lyre-shaped arms faced with roundels and reeded decoration that extend down to the seat rail. 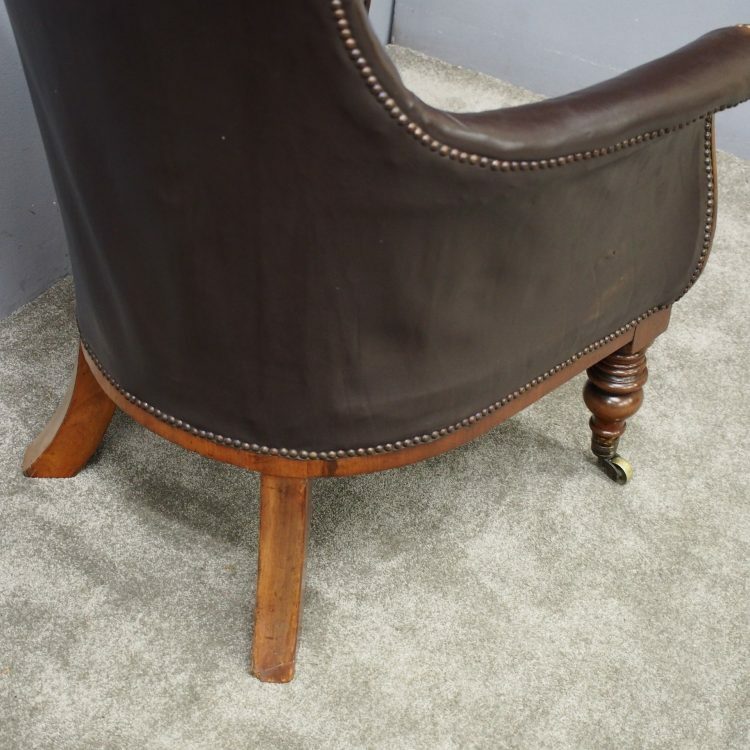 It is all supported on turned feet over brass castors.